Father Felix, headmaster at St. Polycarp Elementary School, has been called to serve the Vatican in Rome. Although a great honor for Father Felix, it has less than happy consequences for his loyal teachers and staff. The new principal is Mrs. Logan, a severe, no nonsense administrator, who has a strict code of conduct for the teachers. Sensible shoes, conservative clothes, hair kept up in a ponytail to avoid head lice, and no chocolate. For Mrs. Hopwood, a flashy dresser, a stiletto heel fan, and a chocolate lover, this news is terrible. She and her fellow teacher, Mrs. Johnson are filled with dread. To make matters worse, Mrs. Logan is moving Mrs. Hopwood from the sweet security of second grade to the scary prepubescence of the fifth. 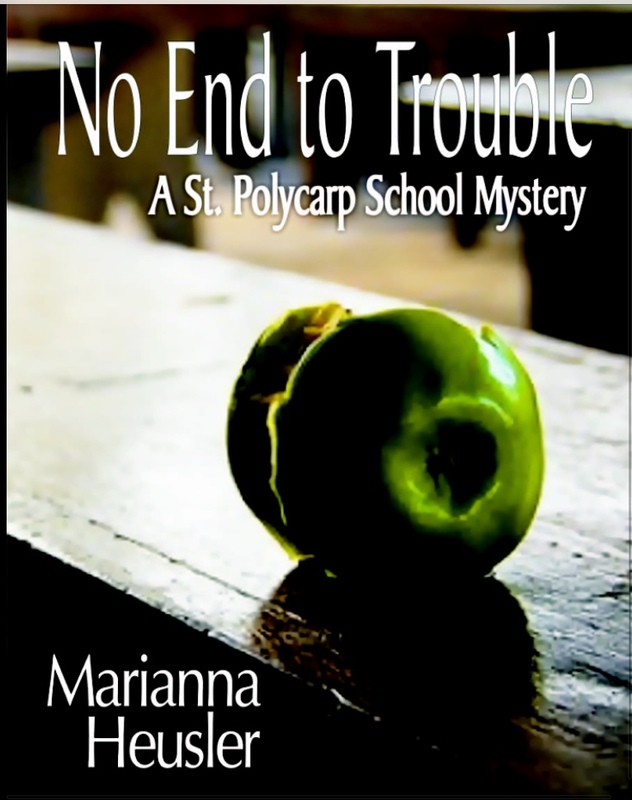 The two friends and amateur sleuths − or busy bodies in Father Felix's opinion − have faced many trials at St. Polycarp in the past - for instance, the dreadful murder of the seventh grade teacher and a short time later on a field trip to Sicily, a killer stalked them through the catacombs. So when a cafeteria lady dies mysteriously during Parents' Night, Mrs. Hopwood and Mrs. Johnson have a dual mission − to find a sadistic murderer without getting fired − or killed.